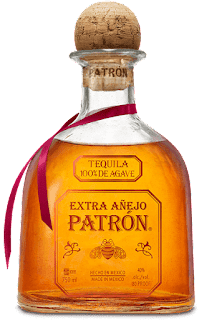 A smooth, golden tequila aged in oak barrels for at least three years. Patrón Extra Añejo is made from the highest-quality 100% Weber Blue Agave. Aged for a minimum of 3 years in American, French and Hungarian oak barrels, it features deep, nuanced flavors perfect for replacing whiskey in your cocktails.